Chain-drive valves and scaffolding are often used to operate hard-to-reach manual valves. In many cases, however, these solutions are expensive, time-consuming and dangerous. FlexiDrive eliminates the stress and dangers that valve access can bring. It can deliver torque from up to 30 metres away, with minimum effort from the operator. This remote valve operator consists of two stations joined by a linear drive cable. 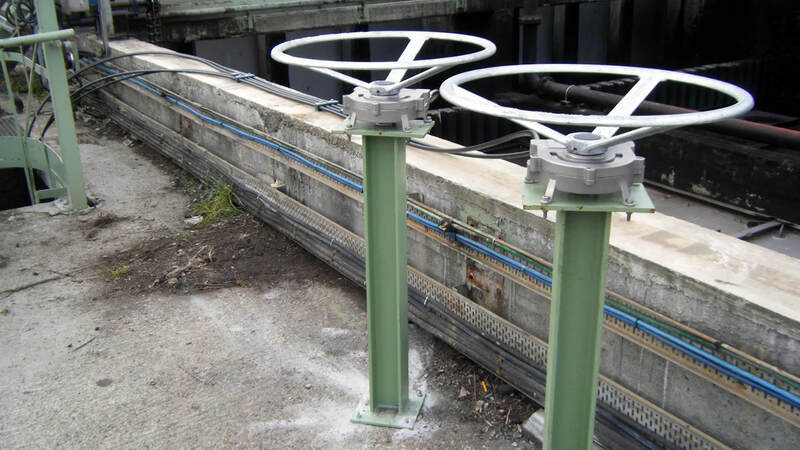 It enables valves and other wheel-operated devices in remote, hard-to-reach or hazardous locations to be operated with ease from a conveniently located hand wheel. FlexiDrive can be applied to any conventional wheel-operated valve or device. It is suitable for use underwater and in the most extreme climates. The cable system can deliver torque output for most manual valve operations and transmits drive up to 30 metres from the operator station.